UPDATEPES.com - The new season of world soccer competition has begun and of course many Pro Evolution Soccer updates have started making, this time I will share a complete kitpack for PES 6. 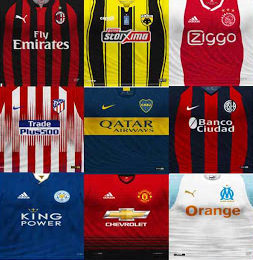 This kit is a combination of the work of some of the best kitmakers in the world. Thanks to those who have worked hard to make this update.